The Raithby Bike Shelter started as a University Student Association initiative by the Green Gryphon project of the Central Students Association. 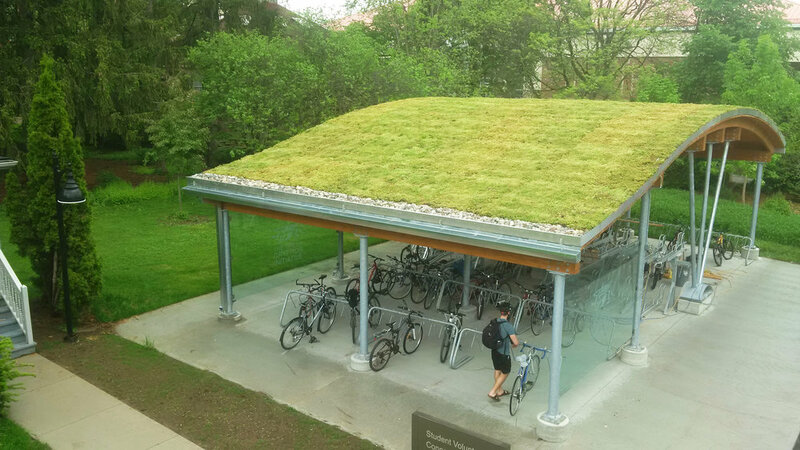 The bicycle shelter was a joint “campus greening” project in conjunction with the installation of rooftop solar panels on the adjacent Raithby House. 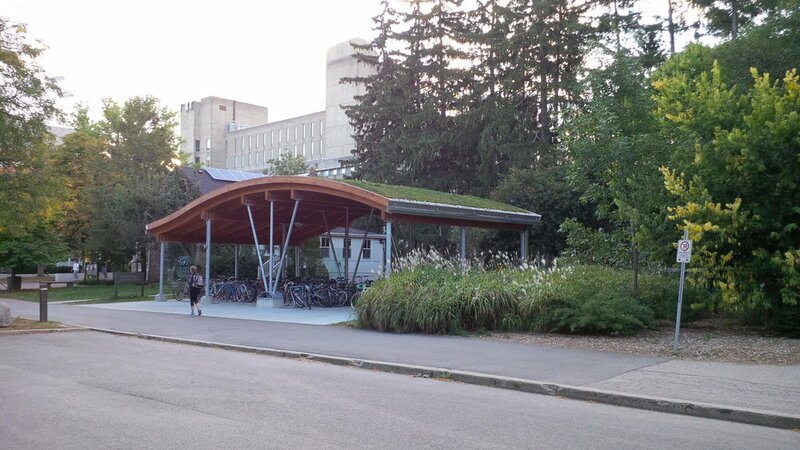 Located at the heart of the campus, opposite the University Centre on Reynold’s Walk, the bike shelter project creates a prominent campus landmark and symbol of Green Design practices as championed by the Student Association. Constructed of galvanized structural steel including a playful central “spoke” support for the roof, the curving exposed GluLam timber structure adds an element of warmth and sustainable construction practices. The entire structure is covered in a pre-grown living roof system of sedums and other drought-resistant vegetation to further emphasise the environmental objectives of the Green Gryphon initiative.